(In this example I am using the phrase the problem to represent whatever issue you have. I will go into more detail in the next part of this series about how to find words that can represent your particular problem. But for now I am sticking with the term “the problem”, just to simplify learning). 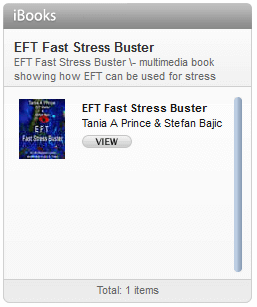 The reason that we state the problem is because for EFT to work we need to tune into the issue. The words that represent the problem help us do that. The reason for the affirmation is that sometimes our mind/ bodies resist healing. Saying an affirmation of total self acceptance has been found to set the conditions to momentarily allow healing. Whilst this window of opportunity is open we quickly work on the issue by tapping on the acupoints stating the problem. Tapping can be done without doing a set up, in fact when I run EFT Level 1 training courses, for people new to EFT, I start by teaching them the points and getting them to tap on their issues. Doing EFT in this way, most of the group still get results. However often there are some who don’t. When the set up is included, the number of people getting results increases. 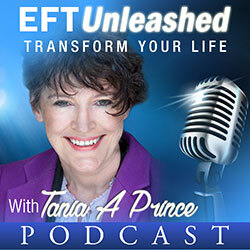 In this simple model of EFT we are using, “I completely and totally love and approve of myself”. You do not have to use this exact phrase, many use similar statements such as, ” I completely and totally love and accept myself”. For children, the term used might be, “……..”I’m a cool kid anyway”. 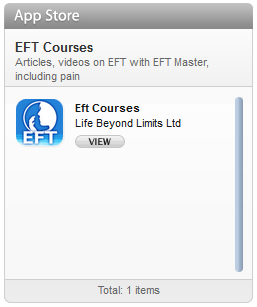 More advanced versions of EFT modify the affirmation to reflect whatever problem the person maybe working on. Also not everyone “loves and approves” of themselves and thus to bypass resistance to the affirmation you might subtly change the words to “…………….I want to love and approve of myself”.